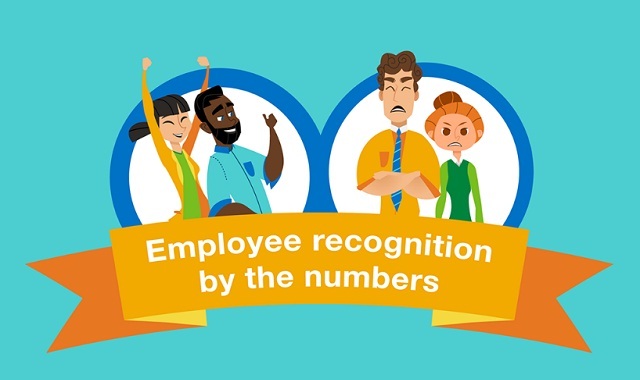 Employee Recognition by the Numbers #infographic ~ Visualistan '+g+"
If your employees aren’t highly engaged, it’s worth assessing how well you recognize them for their efforts. According to an HR Solutions International study, recognition is the key driver for employee engagement. Moreover, between 67 to 90 percent of companies report an increase in engagement after adopting an employee recognition program. If you have an employee recognition program, you’re not alone; 88 percent of companies have one. But those programs are not all created equally. Read on to learn what research says about some of the most common ways to recognize employees.